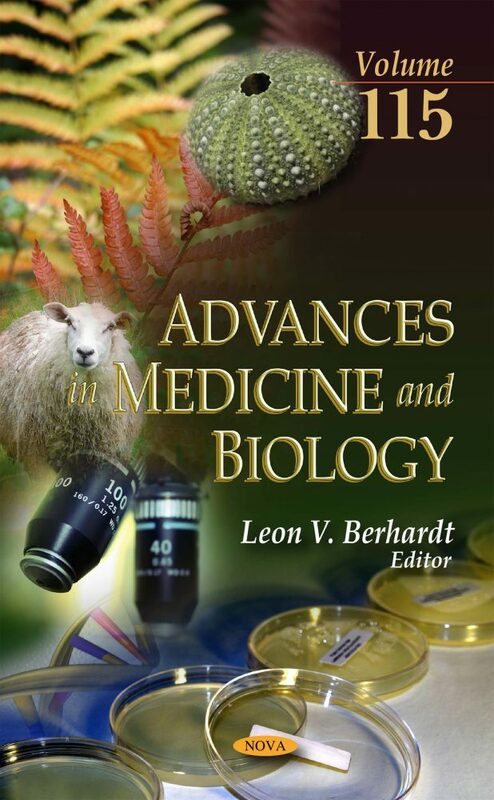 The chapters in this volume present the latest developments in medicine and biology. Chapters One studies Kleine-Levin syndrome. Chapter Two reviews stress, hypothalamic–pituitary–adrenal dysfunction, inflammation, and psychomotor disability in preterm birth infants. Chapter Three discusses the cellular and molecular basis of fibrogenesis. Chapter Four examines the role of ocular melanin, melanosomes and melanocytes in eye functionality. Chapter Five focuses on hypopituitarism especially on the clinical feature, pathogenesis, and treatment of these novel conditions of hypophysitis. Chapter Six discusses benign and malignant anorectal pathology. Chapter Seven analyzes the medical and surgical management of hemorrhoids. Chapter Eight introduces and reviews computer aided drug designing. Chapter Nine discusses the occurrence and risk assessment of organochlorine pesticides in seafood. Chapter Ten gathers and describes information about trans fats and their regulation in Mexico in over the last ten years. Chapter Eleven analyzes the legislation, consumption and potential replacement solutions of trans fat in Argentina.